Join a Mines alumni interest group to learn about industry-focused opportunities and stay connected with others from the alumni, faculty and student communities. Whether you’re interested in the latest news at Mines, connecting with faculty, networking and attending events or sharing your expertise, there are many ways to get involved. The newly formed Aerospace Interest Group kicked off its inaugural event, Trajectories 2017: Refuel your Aerospace Network on September 8. More than 150 students, alumni, faculty and professionals in the aerospace industry were in attendance to network and learn, co-hosted by the American Institute of Aeronautics and Astronautics—Rocky Mountain Section. In addition to networking, four speakers gave short, inspirational presentations that included: The Lunar Cycle by Dr. Laoucet Ayari, Orion: NASA’S Deep Space Exploration Program by Charles Lundquist, Boom Supersonic: Building the First Economical Commercial Supersonic Airliner by Erin Fisher, and Space Resources by Dr. Angel Abbud-Madrid. Visit minesalumni.com/aerospace for more information. Do you work in an area related to leadership in social responsibility, including stakeholder engagement, community conflict, sustainability, corporate social responsibility, humanitarian engineering, community development work or overseas service, like the U.S. Peace Corps? If so, share your story of how your Mines experience helped prepare you for success, share your expertise with students in the classroom or schedule a time to be filmed. Visit minesalumni.com/LSR to sign up. The Mines Music Department will be heading to Vietnam March 21-31, 2018 for their annual music and culture trip over spring break. The music trip is offered to students, alumni and friends who are interested in experiencing Vietnamese culture, cuisine, language and music. To learn more about this trip visit minesalumni.com/Vietnam or contact Dr. Robert Klimek at 303-384-2073. There will be opportunities for alumnae to share their stories and experiences with accepted female students at the Admissions Department’s ‘Making the Connection’ events on Nov. 17, 2017 and Feb. 23, March 16 and April 6, 2018. We also encourage you to get involved by writing postcard messages or making phone calls to accepted female students to encourage them to say “yes” to Mines. 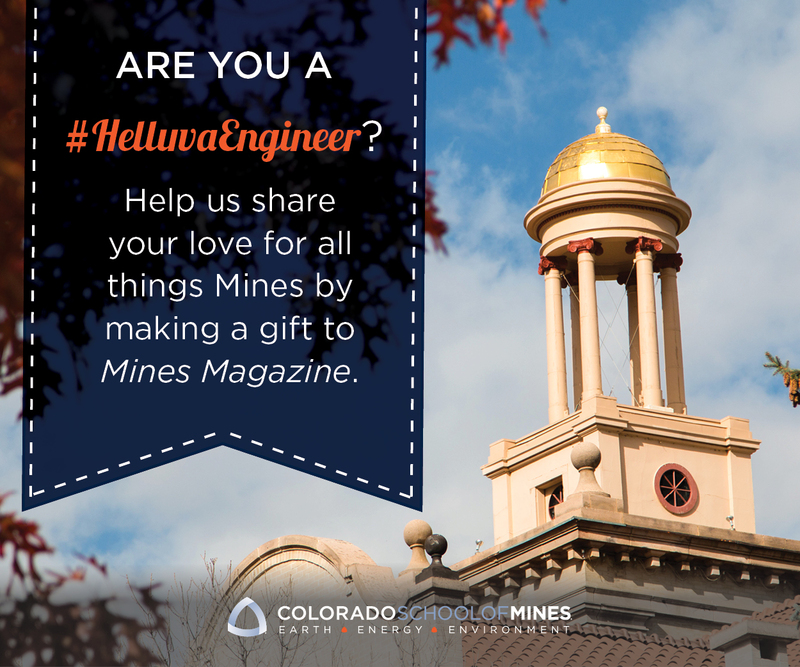 Visit minesalumni.com/womenofmines to learn more. To learn more about any of these opportunities or volunteer, visit minesalumni.com/interestgroups or contact Damian Friend at [email protected] or 303-273-3154.